Well, it’s all over bar the shouting. The memorial service for my beautiful mother was held yesterday. It was a beautiful tribute to an amazing woman. 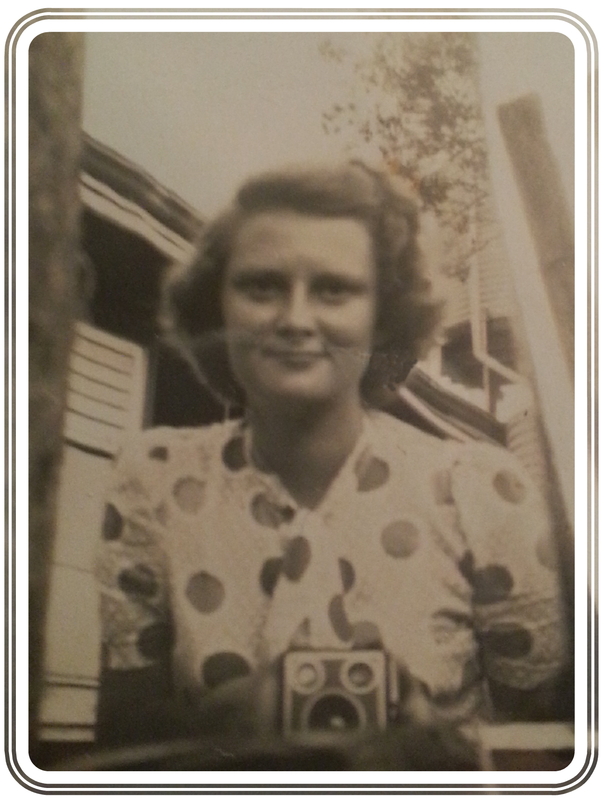 Above is a copy of a selfie she took in 1950 with a box brownie in a mirror. Maybe I’m biased but I think she was beautiful, inside and out. She was well loved and will be sorely missed. So I flew home this afternoon. The good news is that my cough has settled down. Not completely gone but under control. It has been a very busy time so I don’t think it’s properly hit home yet that my Mum has gone. It’s good to be home but I’ve got a lot on over the next few days so I’m hoping to just get through them with my sanity at least partially intact. The first load of washing is almost finished and the suitcase is ready to be packed again. This weekend I’m excited to be going to our annual RWA writers conference, this year being held in conjunction with the Melbourne Writers Festival. I’ll also be pitching “Torn” to some publishing professionals so think of me on Saturday and Sunday as I take some big steps to becoming a published author, one way or another. It’s crunch time. The big decision looms: whether I can find a traditional publisher or whether I should self-publish. Watch this space. Exciting things are on the way. Now, I have a pile of mail waiting for me to give my full attention, a suitcase to repack, some bills to pay, preparation for the conference to finish and a bed that is calling my name. I’m so happy I had started my preparation before my month went to hell in a handbag. Can this month turn out to be the worst and the best of the year? You know it might yet prove to be just that! Hope that a good conference helps to make up for a nasty month, Zoe. I know it will go a long way toward it, Myra. Conference is always a pick-me-up.